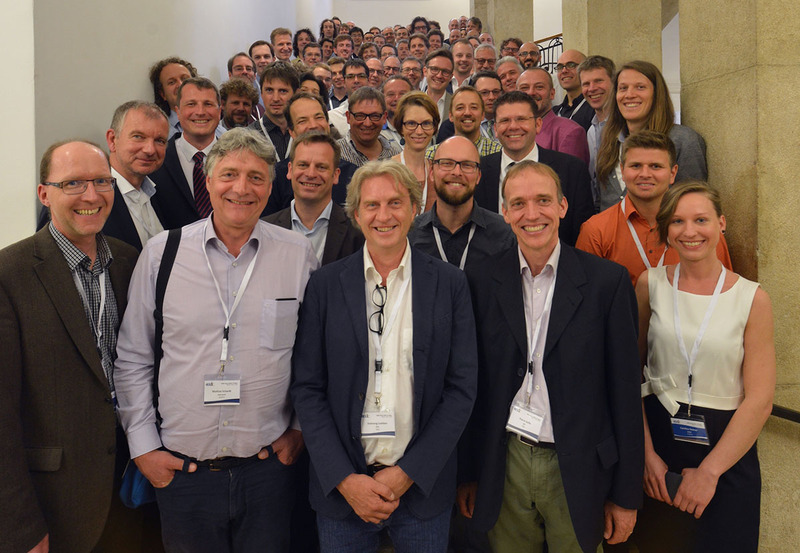 We are pleased to announce that the EODC Forum 2016, held on the 31st of May and 1st of June 2016 at the Vienna University of Technology, has proven a great success! We would like to thank all of the 92 participants from 40 organizations spanning 8 different countries for their attendance, as well as active participation in the lively and fruitful discussions. It was again great to see and feel the support that the EODC receives from partners and colleagues in the Earth observation (EO) community! The two-day event featured interested and detailed technical presentations broaching topics such as Exabyte scale storage, big EO data solutions, or breaking down barriers in the scientific use of EO data, and hosted a well-balanced podium discussion between our expert partners from the public, scientific and private EO sectors, which focused on the Paradigm Changes in Earth Observation. The agenda also included time slots for open debates, dedicated to various hot topics around the EODC’s service portfolio, with the aim of its further improvement and evolution. Five new cooperation partners and two new operational EODC services were introduced as well as the fantastic announcement of the establishment of the Austrian Sentinel National Mirror site. The social dinner, along with generous coffee breaks, also fostered optimal grounds for community building and networking. The constructive inputs and expectations from the forum, concerning the future developments of the EODC, are highly appreciated and will help EODC face the future challenges! We are all looking forward to continued, effective, and successful collaboration for the coming years. The third EODC forum, EODC forum 2017, is planned in Vienna on May 9th and 10th 2017.